Last month Tom Weir described his recent researches, on the ground and in documents, into the Highland wanderings of Prince Charlie after Culloden. 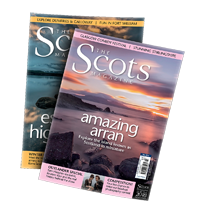 In this article he picks up the trail at Glen Cannich and looks at some of the more puzzling aspects of those extraordinary months. In anybody’s life there are occasions when bad news can turn out to be good news, when changes of direction lead to a desired end-result. 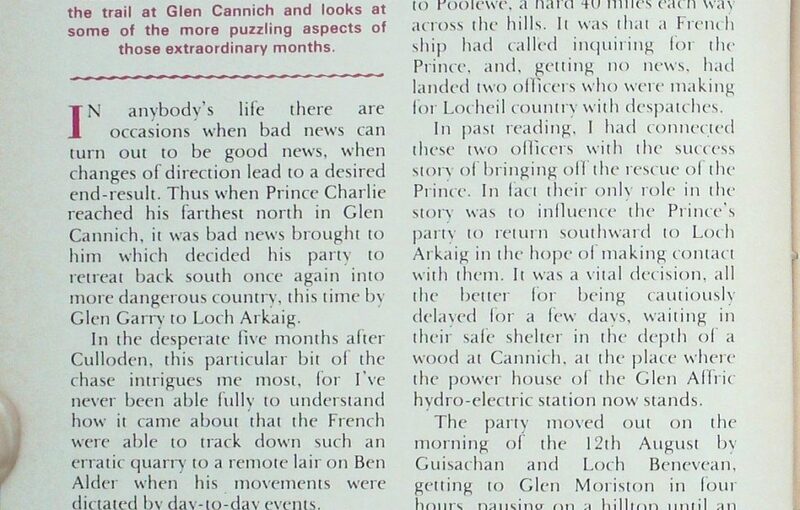 Thus when Prince Charlie reached his farthest north in Glen Cannich, it was bad news brought to him which decided his party to retreat back south once again into more dangerous country, this time by Glen Garry to Loch Arkaig. In the desperate five months after Culloden, this particular bit of the chase intrigues me most, for I’ve never been able fully to understand how it came about that the French were able to track down such an erratic quarry to a remote lair on Ben Alder when his movements were dictated by day-to-day events. I know now, thanks to the discovery of the log of the Prince de Conti, the ship which took him off, plus the narrative of a French officer on board the Bien Trouvé, a rescue ship which failed to find him. These discoveries were made in the Archives Nationales in Paris by Mr John S. Gibson, whose excellent book Ships of the ‘45 brought home the vital role played by the British Navy in defeating the Jacobites, and paid tribute to the persistence of the French ships which finally achieved the Prince’s rescue. 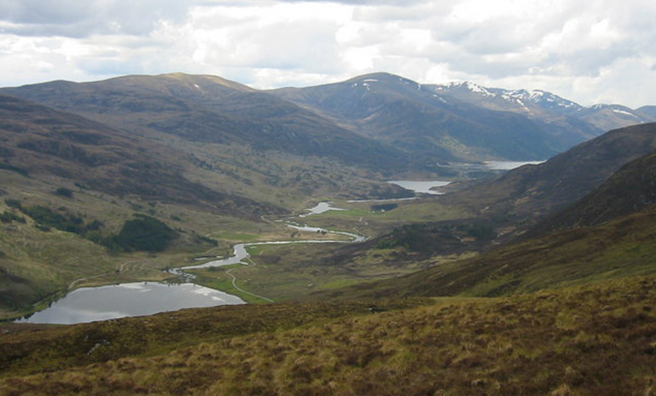 But, let us return to Glen Cannich and the bad news. It was brought to him on the 7th August by two of his devoted party who had done the return march to Poolewe, a hard 40 miles each way across the hills. 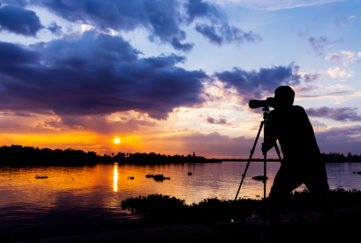 A French ship had called inquiring for the Prince, and, getting no news, had landed two officers who were making for Locheil country with dispatches. In past reading, I had connected these two officers with the success story of bringing off the rescue of the Prince. In fact their only role in the story was to influence the Prince’s party to return southward to Loch Arkaig in the hope of making contact with them. It was a vital decision, all the better for being cautiously delayed for a few days, waiting in their safe shelter in the depth of a wood at Cannich at the place where the power house of the Glen Affric hydro-electric station now stands. 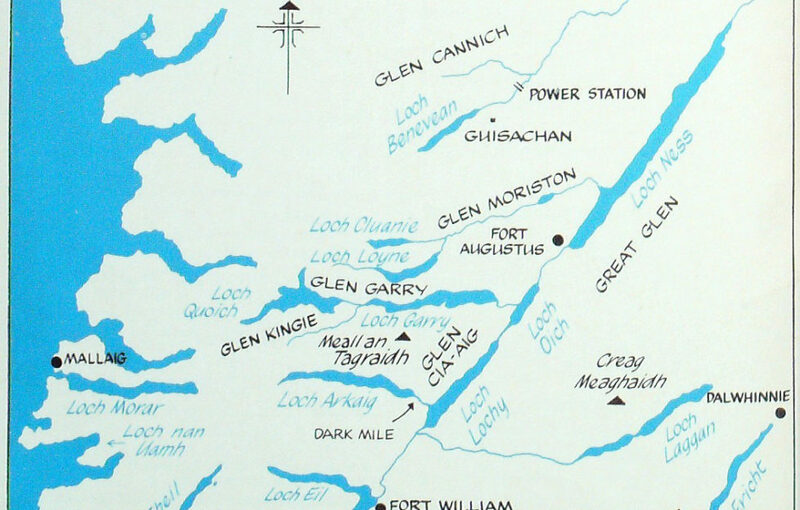 The party moved out on the morning of the 12th August by Guisachan and Loch Benevean, getting to Glen Moriston in four hours, pausing on a hilltop until an enemy search party had cleared off. In fact the search for Charlie was cooling off, for on the 13th the main body of Albemarle’s Redcoats were marched away from Fort Augustus southward, and Campbell militia had set off for Inveraray, leaving Lord Loudon’s regiment and 17 companies of militia to garrison the fort.